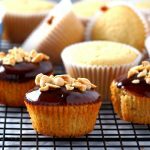 The mildly sweet cupcakes and the creamy cocoa buttercream are a wonderful tandem in this mini vanilla cupcakes recipe. 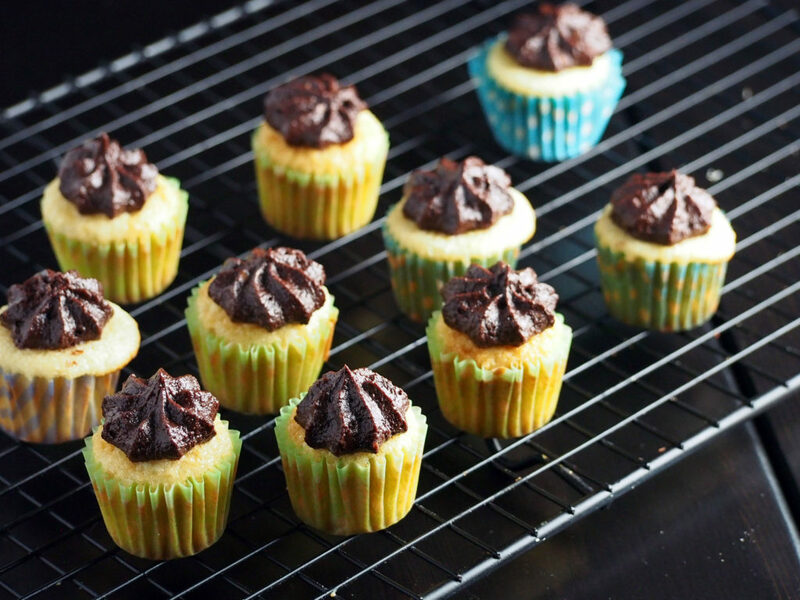 Bake this little treats and delight in their cuteness as they satisfy your mini sweet cravings. Mini cupcakes are such great treats to make for parties because they are so cute, handy and easy to eat. I always find that most people don’t have the appetites for one whole regular sized cupcake but they won’t hesitate to have one or two mini cupcakes. So for that reason, these mini vanilla cupcakes are perfect dessert items for parties or get together because their sizes are not too intimidating for people who don’t have much of a sweet tooth. I don’t make cupcakes often because I don’t want to end up eating most of them but then, one day, my daughter found a pack of Dora cupcake toppers in her closet. She urged me to make cupcakes so she can put the toppers on them. So, I eventually found myself whipping up this batch with her help. I decided on making minis for the reason I stated above- a regular sized cupcake is too much for any of us in the house. My husband disdains cakes and pastries. Surprisingly though, when he saw me taking food photos of these mini vanilla cupcakes, I have no idea he saw, or what enticed him, but he popped one on his mouth, chewed, swallowed and silently said masarap! (it’s delicious). So I told myself then, okay, okay this recipe is definitely a keeper. 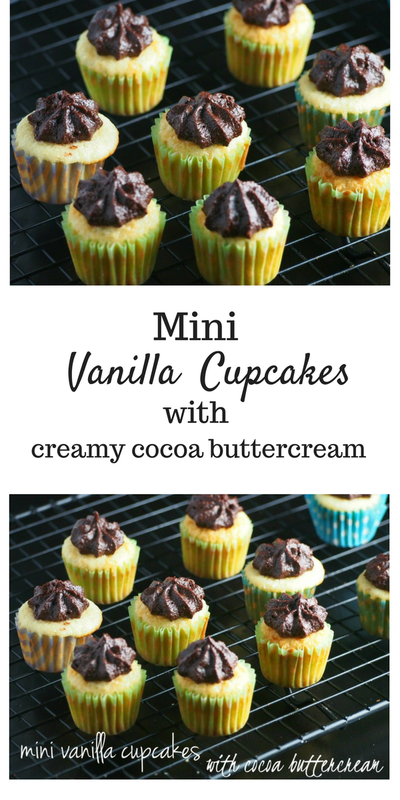 You will love these mini treats. 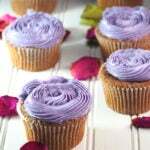 They will fill your sudden sweet cravings without having to devour a whole cupcake. Or maybe you will be popping one after another in your mouth, and that is still okay. An easy way to eat the equivalent of one whole cupcake, I guess. 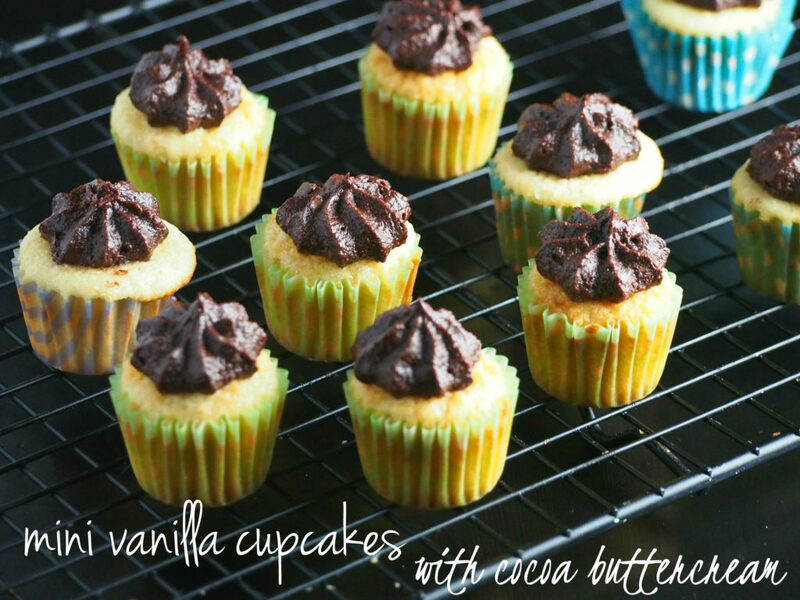 Mini Vanilla Cupcakes with Cocoa Buttercream. 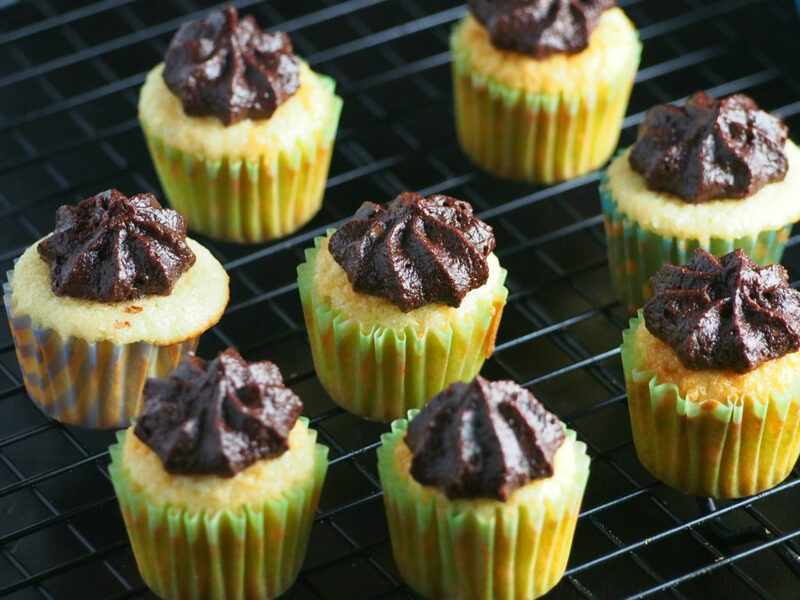 Moist mini vanilla cakes frosted with creamy cocoa buttercream. Heat oven to 350 degrees. 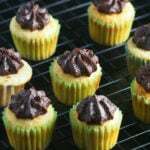 Line mini cupcake pan with liners and set aside. 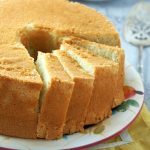 In the bowl of an electric mixer or hand mixer, cream butter and sugar until light and fluffy using the paddle/beaters attachment . Add eggs one at a time, scraping the sides of the bowl as necessary. Beat in vanilla. Add flour mixture and milk alternatively, beginning and ending with flour. Divide batter evenly among liners, about three-quarters full each. Bake until golden and when the tops spring back to touch, about 8 to 10 minutes. Transfer to wire rack; cool completely. Beat softened butter in a bowl of a stand or hand mixer until it is creamy. Add in the cocoa powder and icing sugar alternating with the milk and continue beating to get a smooth consistency. 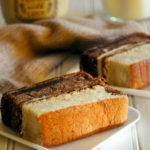 You can either add little amounts of milk if you want a softer consistency or add powdered sugar/ cocoa powder if you want a thicker consistency. cupcakes recipe adapted from Martha Stewart.